For at least the third year in a row, United Way of King County was the highest-grossing affiliate in the nation, and the only one to top $100 million in public support during 2010. The Seattle-based affiliate raised almost $117.4 million last year, up almost 18 percent from 2009, according to data released this week by United Way Worldwide. Overall, 457 United Way affiliates generated at least $1 million in public support. Of the 428 that provided data to the Alexandria, Va. headquarters for the past two years, 242 affiliates increased public support in 2010 compared to 2009 compared with 186 that saw their public support decrease. Among those affiliates reporting $1 million in public support, the median aggregate amount was found in Mentor, Ohio, where United Way of Lake County Ohio raised $2.701 million last year, up 1.2 percent from $2.668 million in 2009. The median percentage difference among the 427 affiliates reporting data from the past two years was 1.2 percent, by United Way of Mid and South Jefferson County in Port Arthur, Texas, and Greater Longview United Way in Longview, Texas, which raised about $1.25 million and $1.4 million, respectively, last year. Overall public support for United Way was up about 0.44 percent, from $3.842 billion in 2009 to $3.858 billion. The main drivers in the 2.4 percent rise in overall income for United Way were government support and investment income. Government support was up 13 percent, from $228 million in 2009 to $257 million last year, while investment income almost doubled, from a reported $58 million in 2009 to $114 million. 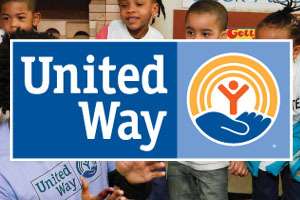 Total income for United Way was up by 2.4 percent, about $100 million to $4.229 billion last year, from $4.128 billion in 2009. Workplace giving, long the largest portion of United Way’s revenue, was down slightly, by 0.2 percent.